This summer treat yourself to some time on the water with a boat tour with the Museum at Campbell River and Discovery Marine Safaris. One of our most popular tours is the cruise to Sonora and the Thurlow Islands, with a stop for lunch at Dent Island Lodge. 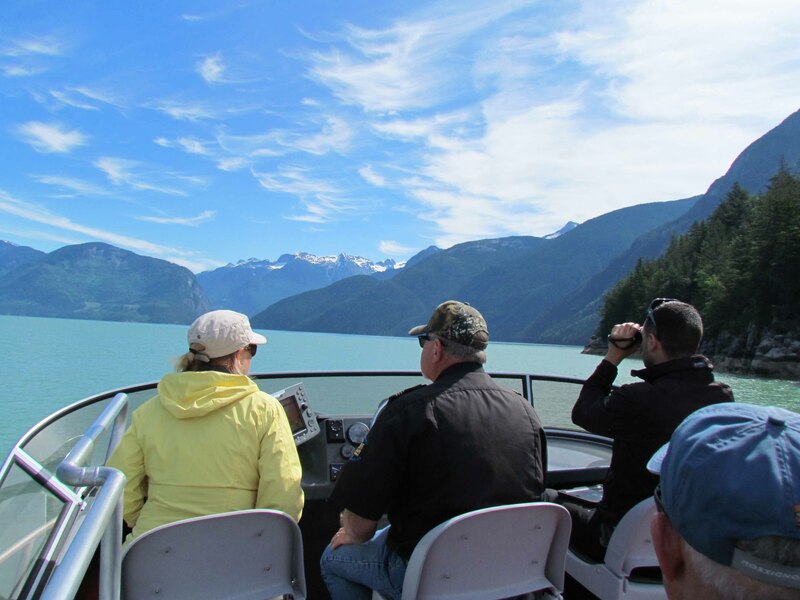 This cruise departs from Kelsey Bay, where guests are brought by bus from Campbell River, and explores East and West Thurlow Islands, and the northern portion of Sonora Island on board one of Discovery Marine Safaris comfortable boats. Located 1.6km from the village of Sayward, the Port of Kelsey Bay was the home of Salmon River Logging in the late 1930s. Years later it was the location of the southern terminus of the BC Ferries Inside Passage Route. Visible from Kelsey Bay is Hardwicke Island. Named by Captain Vancouver after Philip Yorke, 3rd Earl of Hardwicke, Hardwicke Island has been home to the Bendickson family since the arrival of Norweigan logger H.A. Bendickson in 1918. The Thurlow Islands were logged with oxen in the 1880s, and mining for gold, copper and iron began in the 1890s. According to local lore the first steam locomotive used for logging in BC was used on the Thurlow Islands. A hub of activity at the end of the 1800s was Shoal Bay on the northern shore of East Thurlow. In 1913 a one-room school house was opened and a government wharf was built. It was a regular stop for Union Boats and settlers from neighbouring islands would row over to get their mail. Sonora Island was named after a Spanish exploring vessel, the Sonora, which sailed out of San Blas Mexico in 1775, bound for the Northwest Coast. The trip was plagued with difficulties, and by the time the ship reached Dixon Entrance only Quadra and Maurelle, the ships officers, were still on their feet. The two men managed to sail the ship back to Mexico on their own. 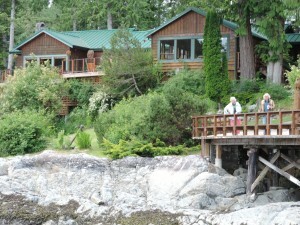 Dent Island Lodge is a favourite lunch spot with guests. Described as “luxury in the wilderness” they have a reputation for preparing exceptional meals in a spectacular setting. For the more adventurous traveler the Museum at Campbe ll River is offering an overnight trip to explore Telegraph Cove, Sointula and Alert Bay. The trip departs from Campbell River on Saturday afternoon with a Museum guide joining you right from the beginning to explain points of interest on the trip north. 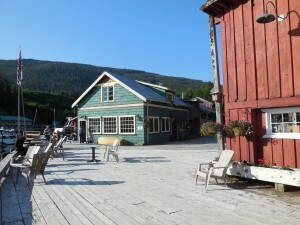 Guests check into cabins at Telegraph Cove and then are free to explore the area and have dinner. The cabins themselves are a point of interest – each of them has a story about the previous inhabitants, most of whom were employees of the sawmill that was in operation at Telegraph Cove throughout the 1930s to 1950s. They have, of course, been restored and are complete with modern conveniences. 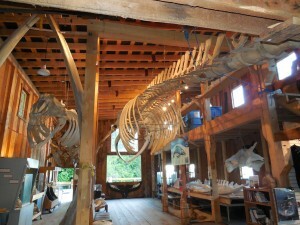 Saturday evening is a presentation and tour of the Whale Interpretive Museum at Telegraph Cove. While there, don’t forget to look up to get the full force of just how big a whale is! Breakfast Sunday morning is at the Seahorse Café, at which point you board a boat to cruise over to Sointula on Malcolm Island. Sointula was a Finnish settlement and the name means “Place of Harmony” in Finnish. In 1901 they arrived with the intention of setting up a utopian socialist society. The utopian ideal may not have thrived, but the settlers remained and have built and maintained a lovely community rich in history and natural splendor. You will visit the lovely Sointula Museum at this stop. You can either catch a ride up to the Museum or take the opportunity to stretch your legs on the short walk over. The next stop on the boat cruise is Alert Bay on Cormorant Island. 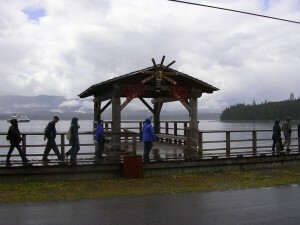 Alert Bay is a remarkable aboriginal cultural destination, rich in history and cultural tradition. The highlight of this stop is a tour of the U’mista Cultural Centre and the Potlach mask collection on display there. You will also be treated to lunch at the Museum. Mid-afternoon you will return to Telegraph Cove and board the bus back to Campbell River. Spectacular fjords, mountains and wildlife are what most people think of when they hear the name Desolation Sound. 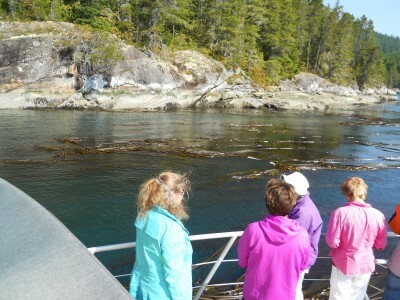 On the Historic Boat Cruise to Desolation Sound with the Mus eum at Campbell River and Discovery Marine Safaris you will encounter all of that, and also have the opportunity to delve into the region’s rich history. The boat tour leaves Campbell River, cruises past Quadra Island and its iconic lighthouse built in 1898. 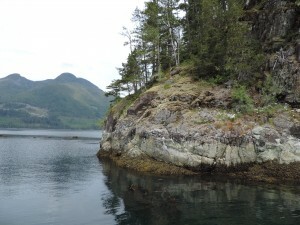 Guests will then have the opportunity to view Mitlenatch Island, a wildlife sanctuary that houses the largest seabird colony in the Strait of Georgia. It is not unusual in this area to see not only birds, but other wildlife such as sea lions and seals. Soon you’ll be passing Hernando Island, a private island with beautiful sandy beaches, as well as the Twin Islands, which were at one time owned by German royalty. Just north of Powell River is the community of Lund. The trip stops here at the historic Lund Hotel. 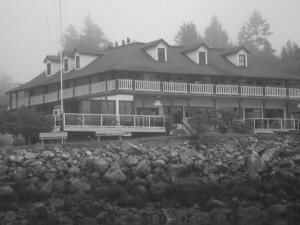 Established by the Thulin Brothers in the 1890s, who would then go on to open the Willows Hotel in Campbell River, this hotel has been renovated and provides the ideal stop for lunch. After lunch the tour heads towards Teakerne Arm and Lewis Channel. 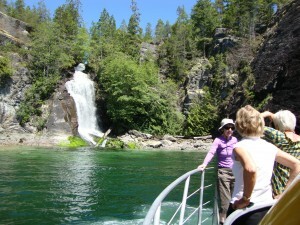 Teakerne Arm is known for the stunning Cassel Falls that is located within Teakerne Arm Provincial Park. This park is located on West Redonda Island. After passing through the north end of Lewis Channel, you will start to return towards Campbell River, passing between Read and Cortes Islands. One of the boat tours being offered this season is a tour of the Thurlows, with a lunch stop at Blind Channel Resort. The Thurlow Islands consist of two islands, East Thurlow and West Thurlow. They owe their early development to logging, mining and fishing. Logging began on East Thurlow as the stands of timber in the lower mainland were being used up. Companies like Hastings Mill out of Langley, BC were searching for areas to expand into. As early as 1880, Hastings Mill made Bickley Bay on East Thurlow Island their regional headquarters. Further development was curtailed, however, when gold was discovered in nearby Shoal Bay, also on East Thurlow. In 1884, the first stake was claimed and by 1890, the gold rush was on. This attracted a large number of prospectors and development. By 1897, there were two stores and two hotels. That same year Shoal Bay became incorporated as a town and the Union Steamships were stopping by four times a week. The plans for a township never developed however, and today, all that remains at Shoal Bay is a privately owned lodge and seasonal residences. Even the famous store pictured here had to be dismantled in 2008. The government dock is still in good shape and today, pleasure boaters have replaced the working population and the Union Steamships which both left the area in the late 1950s. The two Thurlows are separated by Mayne Passage, and West Thurlow lies to the northwest. On the south side of the island, location of present day Blind Channel Resort, a sawmill was built in 1910, then by 1918 it disappeared and was replaced by a cannery. In ’Guide to Blind Channel’, Phil Richter says: “The visitor to the area today, might find it difficult to imagine the activity which existed here within less than on e lifetime.” He goes on to say that the area attracted people looking for opportunity and an independent way of life. An independent way of life was what attracted the Richter family to Blind Channel in 1969, and by 1970, they had sold their home in Vancouver and purchased the property and existing store there. The family consisted of parents Edgar and Annemarie, sons Philip, Alfred and Robert and grandparents William and Therese. 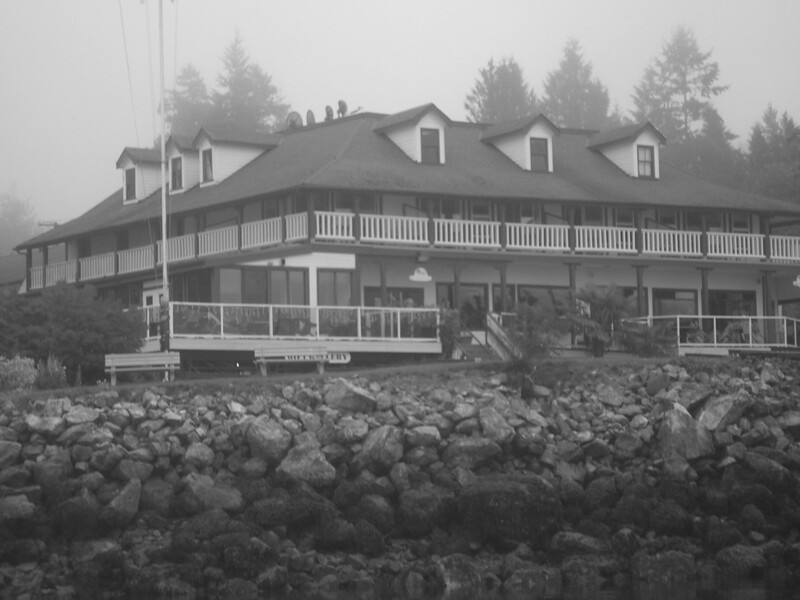 They developed the location into a thriving resort, complete with a first class dining room, general store with a liquor licence and post office; washroom and laundry facilities, and mooring and fuel for boats. Travellers to the area quickly discover the excellent homemade bread sold in the store and admire the unique artwork created by Annemarie Richter that is comprised of items she collected on local beaches; bits of crockery, jewellery and seashells. For the tours of the Discovery Islands, the Museum partners with Discovery Marine Safaris, a local wildlife tour operator. Passengers are taken out on comfortable, heated aluminum boats equipped with toilets. 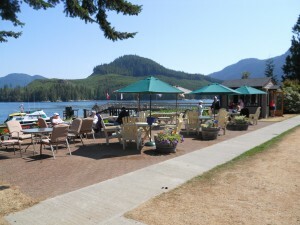 The four to five hour trips also include a lunch at Blind Channel Resort’s Cedar Post Restaurant. The restaurant is known for using fresh local ingredients to create delicious meals for their guests. From the distinctive milky blue glacier fed waters to the vertical shoreline that stretches from sea to sky, a trip to Bute Inlet is not soon forgotten. The traditional lands of the Homalco First Nations, Bute is one of several long deep fjords wh ich cuts into B.C.’s coastal mountain range. This summer’s schedule of Historic Boat Tours will include three trips to Orford Bay, located midway up this scenic Inlet. Given the name Bute Inlet in 1792 by Captain George Vancouver it was named after John Stuart, the Third Earl of Bute, whose grandson was serving aboard Vancouver’s boat Discovery. In the late 1880’s Bute seemed to be destined to play an instrumental role in the early history of the Colony of British Columbia. Entrepreneur Alfred Waddington had ambitious plans, which eventually failed, to build a wagon road from the head of Bute Inlet to the Cariboo goldfields. 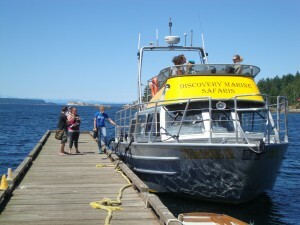 On board one of the Discovery Marine Safari vessels this tour sets off from Campbell River’s government wharf and is a chance to visit an area rich in history and known for its spectacular scenery. During the two hour trip to Orford Bay one of the Museum’s historical interpreters is on board to point out sites of historical significance along the way. 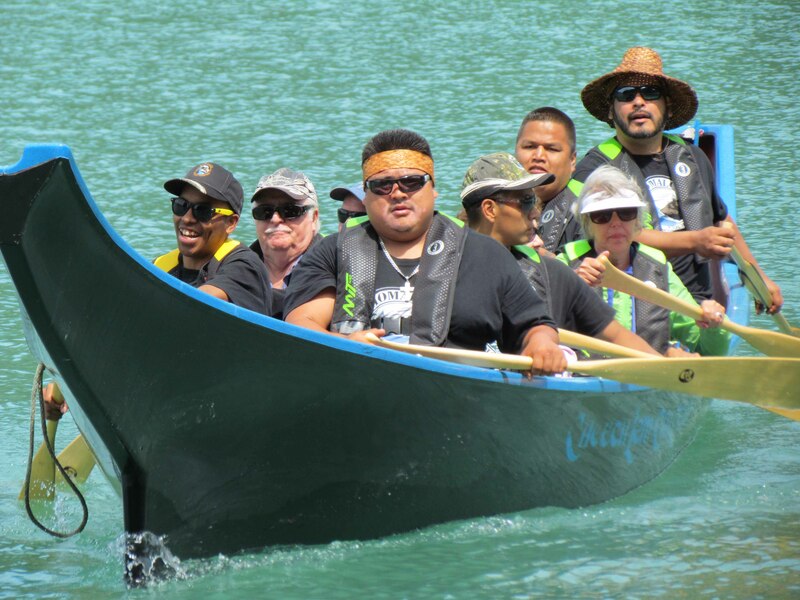 Upon reaching Orford Bay passengers are met by members of the Homalco Band paddling their Salish inspired canoe to greet the boat. The cultural program for the onshore portion of the tour has been developed by Homalco Wildlife Tours and involves a number of Homalco youth interpreters. From the Homalco Band’s perspective this program is part of an initiative to reconnect their youth with their culture and traditional lands. The enthusiasm of the youth involved is one of the many highlights of the onshore activities. Orford Bay is the site of one of the Homalco’s winter villages. Located midway up Bute Inlet it is one of the few spots in the Inlet that is protected from the Bute winds. The topography of the inlet is such that the wind can be blowing in different directions at the same time on opposite sides of the inlet. Bute’s outflow winter winds are particularly ferocious and can blow for days at a time at speeds gusting over 100 km/h. The severity and force of the Bute winds is known by the Homalco as Xwoxw. The first stop after disembarking from the boat is the Orientation Centre which features information about this winter village as well as the history and culture of the Homalco people. Other on-shore activities include an opportunity to join in a cedar weaving workshop atop one of the bear observation platforms and weather permitting, paddle the canoe in the bay. The visit concludes with a traditional seafood dinner enjoyed outside on a large deck. Outstanding scenery at every turn, with exceptional hosts, this trip provides a glimpse into Homalco history and culture.